Find competitive quotes on outdoor advertising in Cary! 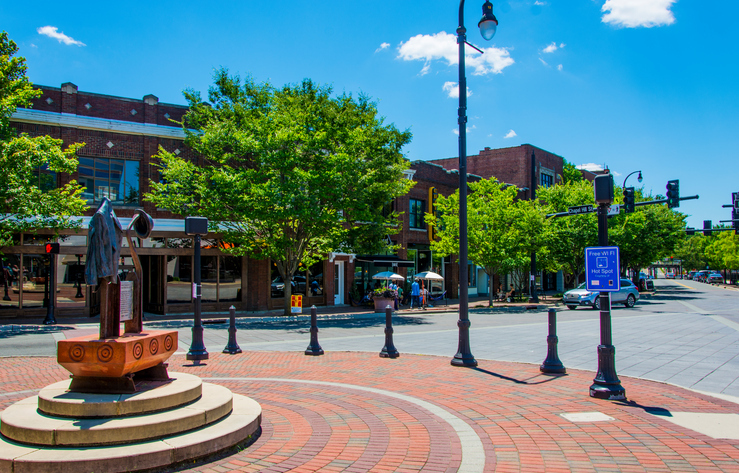 Known for its annual Lazy Daze Arts and Crafts Festival, Cary is great for outdoor advertising. With top-tier entertainment including the Koka Booth Amphitheater and Cary Arts Center, you can be confident that your ad will be seen. Take advantage of pedestrian traffic by advertising near Cary Towne Center and Crossroads Plaza. Or, make the most of commuter traffic with a billboard along I-40. Whether you’re looking to target shoppers near Waverly Place Shopping Center or history buffs near the Page-Walker Hotel, BillboardsIn will help you find the best transit, street furniture and billboard advertising to boost your business. Select an ad type below to get started. You can also begin by exploring BillboardsIn’s comprehensive database of outdoor advertising options to kick off your campaign in Cary.